Hair loss can be an indication of some severe health issues like heart disease, diabetes mellitus, ovarian cysts, thyroid and autoimmune disorders. It also has a negative impact on social life and can lead to depression, Do not neglect hair loss. Hair loss, or alopecia, is an issue for men & women, and children. Which Ingredients Are Included In Aloe Vera? How To Use Aloe Vera Juice On Hair? The Aloe vera herbal is one of the lily plants that grow in desert areas. Only a few of the approximately 300 different Aloe species contain the ingredients that are said to have special effects. Mainly the kind Aloe Vera Barbadensis Miller is used. The thick-bodied leaves of Aloe Vera plants are pressed either whole or peeled into juice. Or the leaf mark (gel) is dissolved out. Bitter and laxative substances (anthraquinones) must be carefully separated as they must not be present in the food. In the case of unclean separation, undesirable side effects such as gastrointestinal complaints or allergic reactions may occur. Aloe vera is dried in capsules or offered as juice or gel. So far, more than 200 different ingredients have been detected in the aloe vera leaves. These are mainly mucopolysaccharides (mucilage from carbohydrates), anthraquinones, salicylic acid, saponins, enzymes, amino acids, vitamins, minerals, and other carbohydrates. The spectrum of ingredients is broad, but the individual concentrations are deficient. Many of these substances are also found in local fruits and vegetables. The active ingredients are mainly glycosaminoglycans (acemannan), anthraquinones (may not be included in the food/supplements), salicylic acid, saponins, enzymes, amino acids, vitamins, and minerals. The most significant part (about 99%) of the aloe vera gel consists of water. The amounts of vitamins are rather low. Vitamins are specially mentioned, it is usually added (synthetic) vitamins. Vitamin C is often added for preservation. 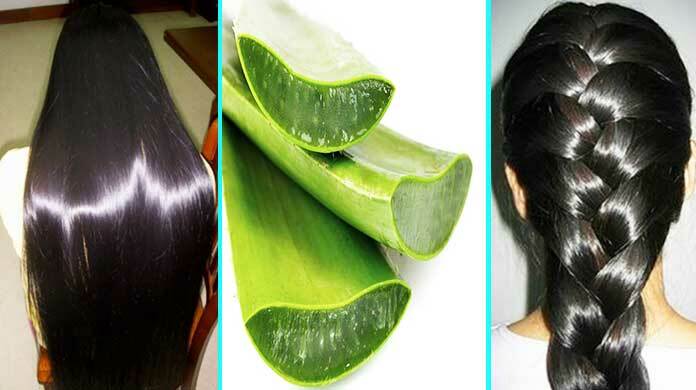 The hair also benefits from the moisturizing and vitalizing effect of aloe vera. 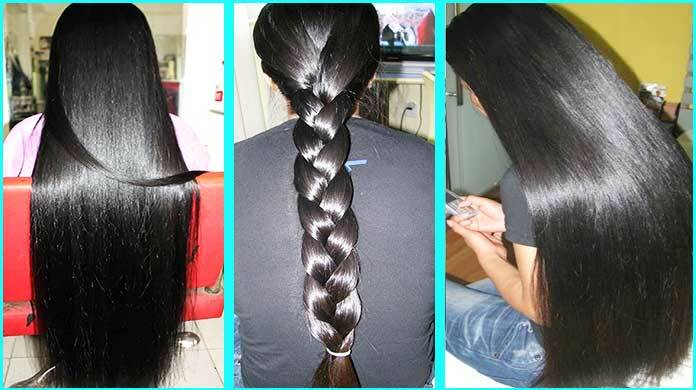 Dry hair, but also dry scalp, gives it moisture and shine. Aloe vera in its best form as a gel can even soothe eczema, flaky or atopic dermatitis skin. Bad hair and an irritated scalp are passé. 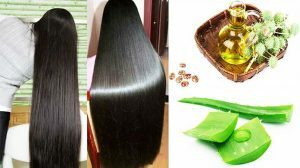 However, hair growth stimulates a different biological effect: Aloe vera contains beta-sitosterol, a chemical compound that stimulates the circulation of the scalp and promotes hair growth. Also, it contains potassium, which is often lacking in the body in malnutrition and leads to hair loss. The gentle, cleansing action of the Aloe Vera gel also helps to optimize hair growth. Because only clean pores give new hair enough space to grow. One can say that the aloe vera plant supports hair growth in any case. It remains just the question of whether it is used as pure, as a shampoo, conditioner or drinking cure. Pure Aloe Vera gel to be applied to the scalp and to massage in, is especially recommended for unusually dry and flaky scalp. 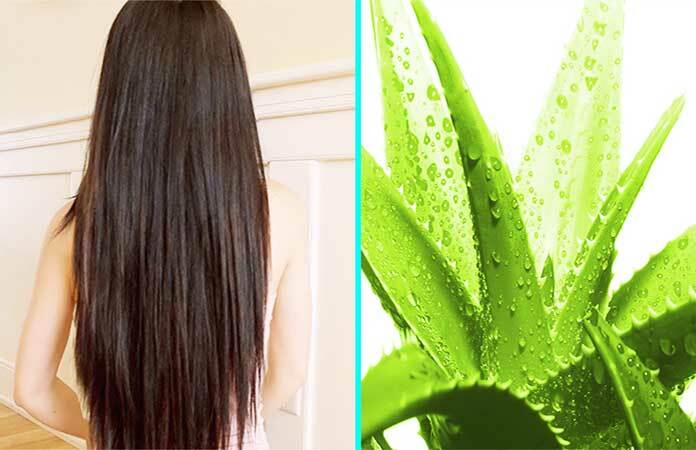 For healthy hair, which only needs a little care, it is enough to mix a little aloe vera gel with the conventional shampoo or to directly access the shampoo with aloe vera ingredients. 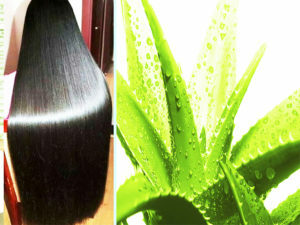 Dry tips and dyed hair, on the other hand, are more comfortable to care for with the aloe vera conditioning method. Instead of a conditioner, you put a little aloe vera gel in your hair, let it act for a quick time and then rinse it off like conditioner. Another method is the drinking cure: It absorbs the nutrients through the body and thus ensures from the inside for beautiful, healthy hair. Castor oil also called miracle oil, is a high-quality, utterly natural oil, which has also been used for several thousands of years for various purposes. 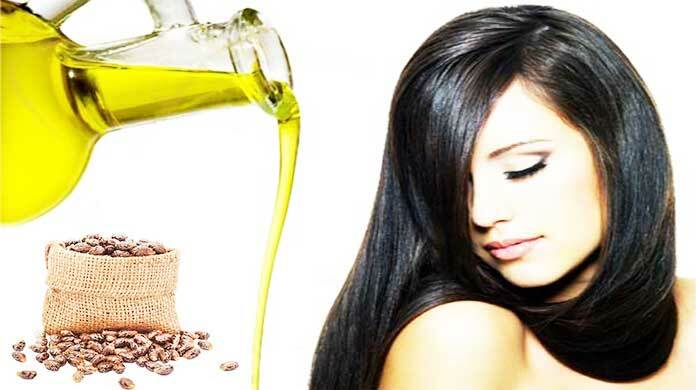 Castor oil is also frequently used in the cosmetic sector. Celebrities, such as actress Catherine Zeta-Jones, seem to appreciate castor oil for its effect on beautiful, voluminous and shiny hair. 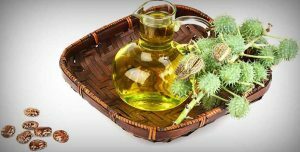 Castor or miracle oil has been used for a long time. As early as 4000 BC, the ancient Egyptians used it. This results from finds in ancient Egyptian tombs. Castor oil was also known to the ancient Greeks. The valuable oil was used for medical and other purposes. Nowadays, the miracle oil is used more for cosmetic purposes, for example, for healthy and full hair or smooth skin. It can be utilized both in its pure state and in combination with other oils such as lavender or coconut oil. Black Jamaican castor oil can also be used for hair because it contains valuable omega-9 fatty acids. 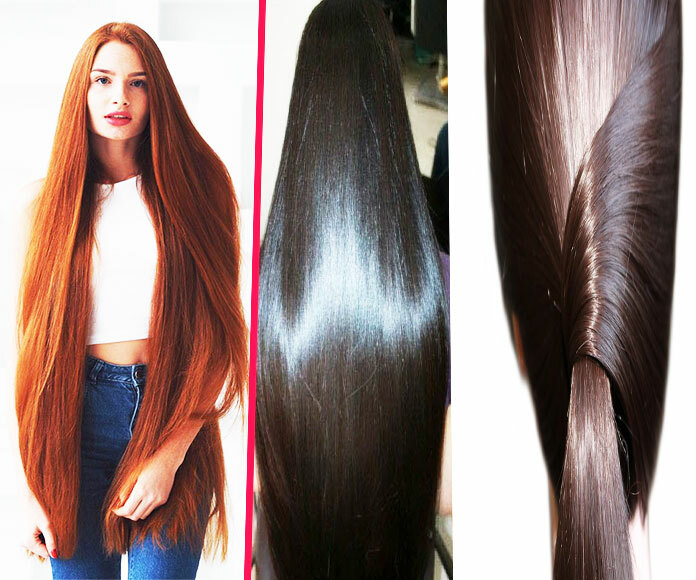 Therefore, it can help brittle, dry hair to look healthy and shiny again. The essential oily acids contained in the oil care for the scalp and can also stimulate hair growth. The oil can be applied overnight as a hair mask or massaged in the morning so that the hair shines particularly beautiful. Also, oil is ideal for unruly hair. I love castor oil to help grow my hair. According to Dr. Mercola, the science of the effectiveness of taking it inside is limited, but typically it’s been accustomed to treat an entire selection of conditions, for millennia, as with 1000’s of years. Using castor oil includes 90% ricinoleic acidity that is an anti-microbial and anti-yeast. It also loaded with omega-9 essential fatty acids which feed your hair follicle. Additionally, it has got the unique capability to penetrate the much thicker layers of skin. It is a very thick oil. Also, it does not freeze, so pricier it to solidify. Used to do a hair serum with beeswax and using castor oil not very long ago. Although it’s unlikely, place exams are usually a good idea because of the potential of the skin reaction. Coconut oil contains fat-soluble vitamins A, D, E & K, in addition to omegas that keep the scalp healthy, happy and nourished. Additionally, it moisturizes the hair. Since it’s a significantly thinner oil than castor oil, it’s easier to spread through your nose and onto your scalp. It’s also more soothing, whereas I would describe castor oil as more stimulating. You can feel your circulation going when you apply it to the skin. Aloe vera! 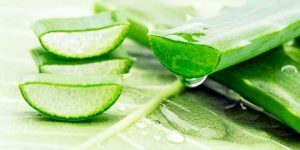 Not only does aloe vera help to restore the scalp’s pH to create the healthiest environment for hair growth, but it contains proteolytic enzymes that break down any dead skin cells blocking the hair from growing. So it’s a deep exfoliation for your scalp. I’d never thought of exfoliating my scalp before. 1) Chop off approximately the top 1/8th of your aloe plant. 2) If you haven’t tried the mason jar blender technique, it’s excellent, primarily whenever using small quantities. 3) It’ll cut lower around the waste between transfers, as well as less dish cleaning. Apply your mixture towards the scalp. You can part hair in quarters. I typically begin with the left to right, creating a deep part around the left, putting it on straight to the scalp and making another part a good inch above and keep doing the same until I have arrived at sleep issues of my mind. Then I go and perform the back, and apply all over the hairline and complete any gaps I missed. 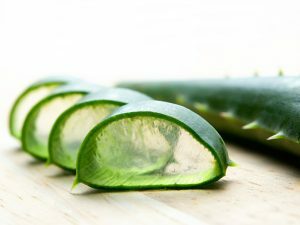 Using the whole leaf may be too loud, you can peel your own using the video up in the ingredients or purchase your aloe vera, make sure to get a high-quality one. The yellow fluid created through the leaf will probably result in a reaction, especially to individuals who’re allergic to latex, perform a patch test whenever you are trying anything new. mix a tablespoon each of Castrol oil and aloe vera extract with a tablespoon of fresh lemon juice, apply the mix to the roots of the hair and leave it for about 30 minutes.